The main challenges of this transformation have been the limited influx of natural light and limited possibilities of extension into a flexible and spacious living space without compromising the rich history of parts of the structure. Part of the newly added living space is filled by a light wooden structure resembling a bridge. It runs along the upper floor, which is now being used as an office. 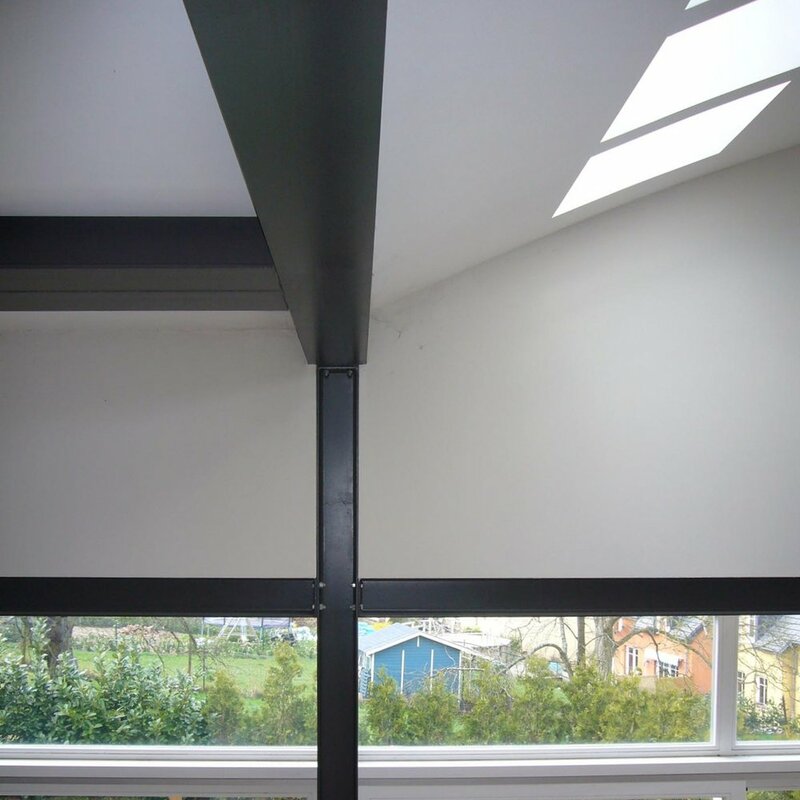 Underneath lies the garage, which features a large, thermally insulated door that, when opened in warm summer months, ties together the inside living space and the outside terrace into a very versatile space. The new living room area is hardly recognizable as it is now spacious and bathing in natural light thanks to the several sky-lights and the large glass panels facing the adjacent garden. A quarter of the old house as well as the garage, both being without historical value, were demolished entirely in order to introduce a much more effective "L" shaped structure, which now encloses the old house on two sides. The new structure is now made up of two floors and is supported diagonally to the old house via steel supports.